The Cobra MX514SPB Petrol 4 in 1 Self Propelled Lawnmower combines the top quality design, excellent value and exceptional performance that Cobra is known for. It has been expertly designed to cater specifically for the changing conditions of the British lawn. 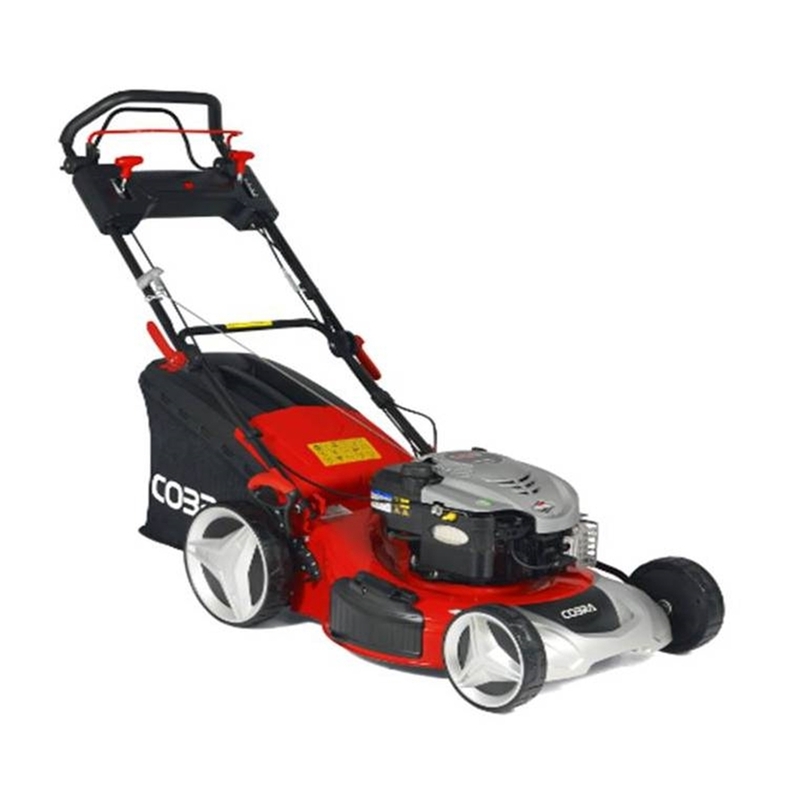 With its 51cm / 20" cut it is ideally suited to medium to large sized lawns. Powered by a Briggs & Stratton XRQ 650E Series OHV Easy Start 4 Stroke 190cc engine it is self propelled with a reliable 4 speed gear box. It has 7 adjustable cutting heights ranging from 25mm for a superb low finish, up to 75mm for tackling longer grass. All this is achieved by simply using the single height of cut adjustment lever. Depending on the height of your grass, you can easily and efficiently adjust the cutting height to suit. It is equipped with a 60 litre fabric grass bag, ideal for collecting large amounts of grass clippings before the need for emptying. The grass bag on the Cobra MX514SPB is made from a robust, high quality fabric. This fabric enables a strong free flow of air which means that grass collection on this machine is even more compact and comprehensive. This model can cut & collect with it's large 60ltr grass box, or side discharge longer more overgrown grass or be set to mulch and recycle the clippings. It has a robust steel cutting deck for years of happy mowing and quick release folding handles for easy storage. It also comes with a 2 year manufacturers domestic warranty.